The repair division of Navantia definitively left behind the hole it had experienced in 2017, when it closed an exercise in which it consolidated the recovery of the activity. Thus, during the past year, a total of 42 merchant ships passed through the installations of the old Astano and Bazán, 7 more than they did twelve months earlier. In percentage terms, it implies an increase of 20%. It stands out mainly in that volume of the fleet that has landed in the local factories gas carriers, in which the Galician Navantia is specialized. Specifically, 18 of the civil ships were gas, placing this figure to local plants in the fourth repairer of the world of this type of ships. Although the ship repair market is fluctuating, the forecasts managed by the sector are to maintain good levels of activity. 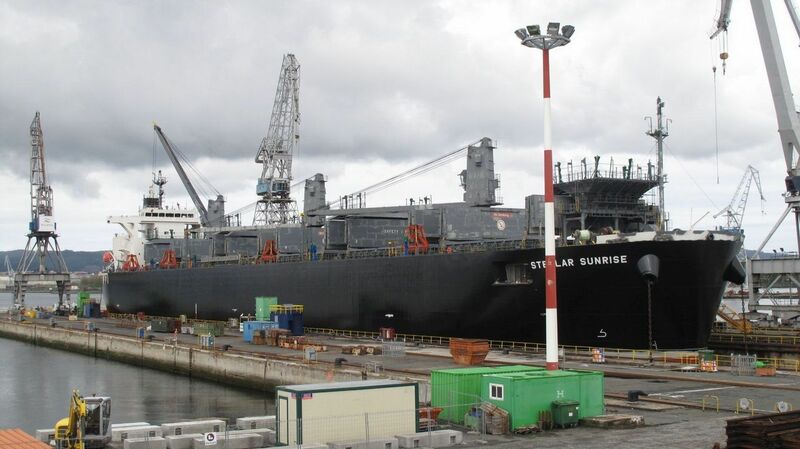 The repair division of Navantia, not only repairs of merchant ships are carried out, but also an important focus of employment are the strained regulations and the updating works of the military ships. Although the gas carriers constitute the type of ship of greater weight in the set of those that have happened through the old Astano and Bazán, the catalog of ships contracted by the division of Repairs has been wide. Chemicals, container ships, tankers, ferries and transport ships are some of those that were subjected to various maintenance or repair works.